We all hear, drink 2 litres of water a day for a healthy living and many a times people miss to achieve the same. Many people prefer carrying water from home when they leave for office. 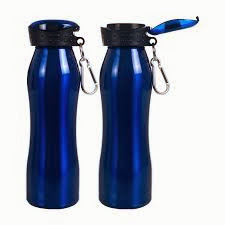 Generally people carry 1 to 1.5 litre of water in a plastic bottle with them since they avoid drinking outside water due to its health hazards. Its a good practice to carry water from home but do we ask this question to ourselves that. Click here to know How much water is enough to drink? Q: Is it safe to drink water from plastic bottles?? When it comes to this, the answer is no. It all depends on which type of plastic the bottle is made from. We all read the printing on each and every plastic bottle that "Throw away after use". But do we all follow that. The answer is No. We all keep those bottles and use them for regular use. 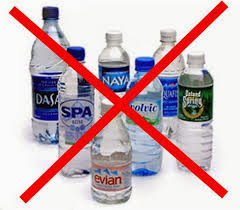 1) DEHA is a chemical found in plastics which gets released into water after 3 - 4 use. After this number of use, if some warm water is put into such bottles, they release a chemical which carries a risk of causing Cancer. 2) We generally wash the bottles after few usages with Soap and warm water. Once soap is used on a plastic, it damage the structure of a water bottle. This allows the release of harmful chemicals into water stored from next time and are easily released into a human body once consumed. 3) Some chemicals released are responsible to damage the healthy tissues and also create health hazards inside that stops the healthy tissues from re growth. Stainless steel bottles are considered the safest alternative to plastic bottles. They are durable and do not leach. Also food industry also makes bottles with special plastics that stops the release of harmful chemicals in the bottle. Such bottles can be used for a maximum of 30 to 45 days. Such bottles if replaced every 30 to 45 days helps in maintaining good water levels.